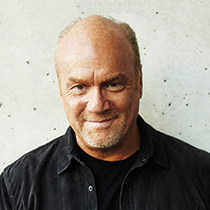 As a kid, Greg Laurie grew up in the home of an alcoholic mother who married and divorced at least seven times. To Greg, fathers seemed to be the guys who were always saying goodbye. Pastor Greg tells his dramatic story and how God got a hold of his life.